Below: way before, before, after. Poor ol' love. And poor ol' painting. Totes ruined. For-ever. 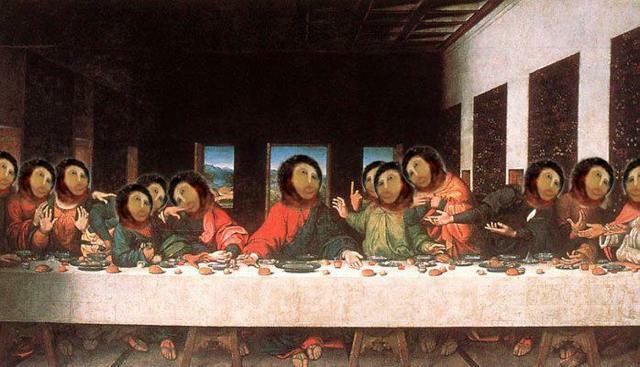 The eighty-something artist named Cecilia Gimenez from Spain has caused a 'fresco fiasco' as she attempted to restore a plaster portrait of Jesus in the Sanctuary of Mercy Church near Zaragoza, where it had been for more than a century. 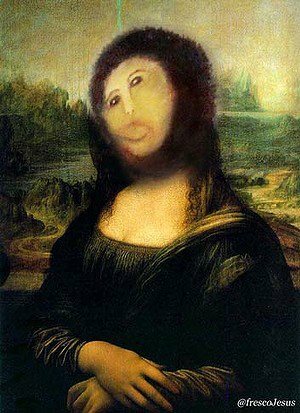 Apparently upset at the way that the portrait 'Ecce Homo' [Behold the Man] by Elias Garcia Martinez, had been deteriorating in the church, so she decided to fix it. Well, she tried to. Gimenez says she was granted permission ["The priest knew it! He did! How could you do something like that without permission? He knew it! "].